5+6 (part 1), 4862 straight ups in central Fontainebleau (2018). This second edition of the book describes almost 5000 problems from 5+ to 6c+ in 53 areas in the Forêt Domaniale de Fontainebleau on 400 pages. The forest around the city Fontainebleau includes popular areas as Cuvier, Apremont, Isatis and Cuisinière. 5+6 (part 2), 3000 straight ups in western and northern Fontainebleau (2015). This book describes 3000 problems from 5+ to 6c+ in 46 areas outside the Forêt Domaniale de Fontainebleau on 272 pages. 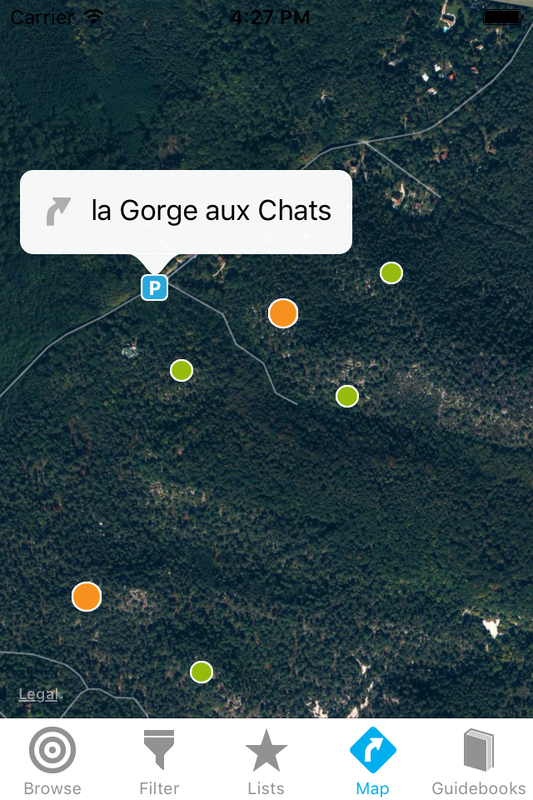 Popular areas included are Roche aux Sabots, Cul de Chien, 95.2, Bois Rond and la Gorge aux Chats. 7+8, 3748 straight ups in Fontainebleau (2016). This fourth edition of the book describes almost 4000 problems from 7a to 8c in 114 areas on 432 pages. All popular areas and many remote and unknown areas are included. 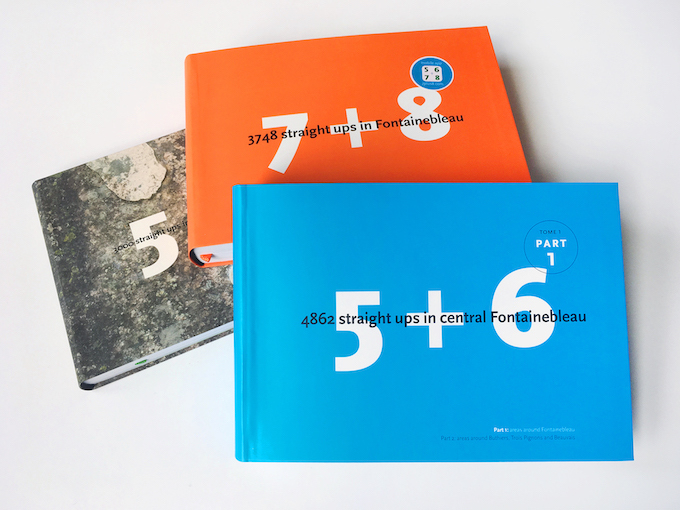 The 5+6 and 7+8 guidebooks give a clear and precise overview of the straight up boulder problems in Fontainebleau. The books contain pure bouldering only; no traverse and hardly any eliminant problem is included. A number of traverse exits, that are outstanding problems on their own, have been included. In more than half of the areas, coloured arrows and numbers on the boulders mark bouldering circuits. In every area where such circuits are present, the circuits are indicated in the topos to facilitate orientation, even if a circuit-problem does not ﬁt into a guidebook because of its grade. Please bear in mind that circuits are sometimes re-numbered and that the paint may have faded. Access to the various areas, as well as to remote problems, is shown on clear and accurate maps. Bart van Raaij has been bouldering in Fontainebleau since 1988 and climbed thousands of problems from 5 to 8, in all sectors of Fontainebleau. 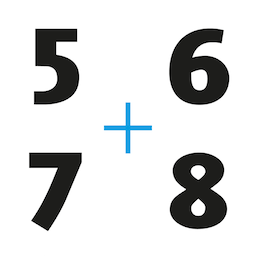 His first 7+8 guide was published in 2002 and the accurate maps and clear design were immediately highly appreciated. He has been updating his guides ever since. 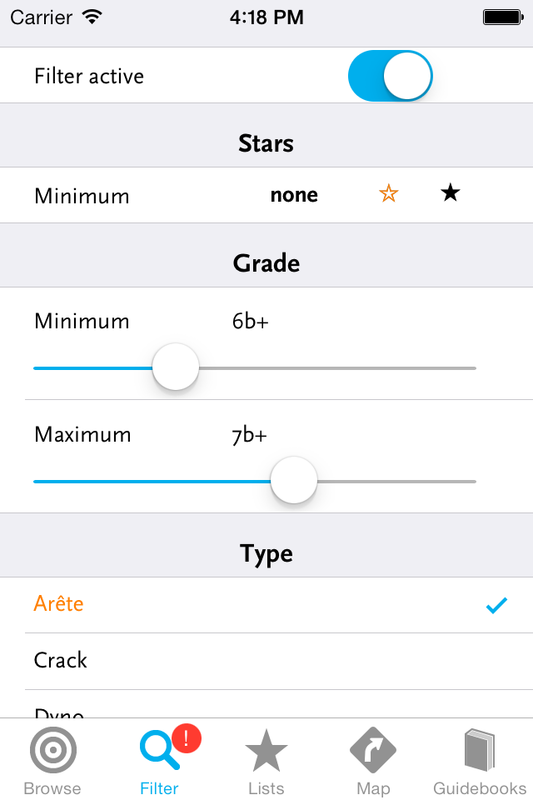 5+6 7+8 allows you to find, filter and sort boulder problems in the well known guidebooks. 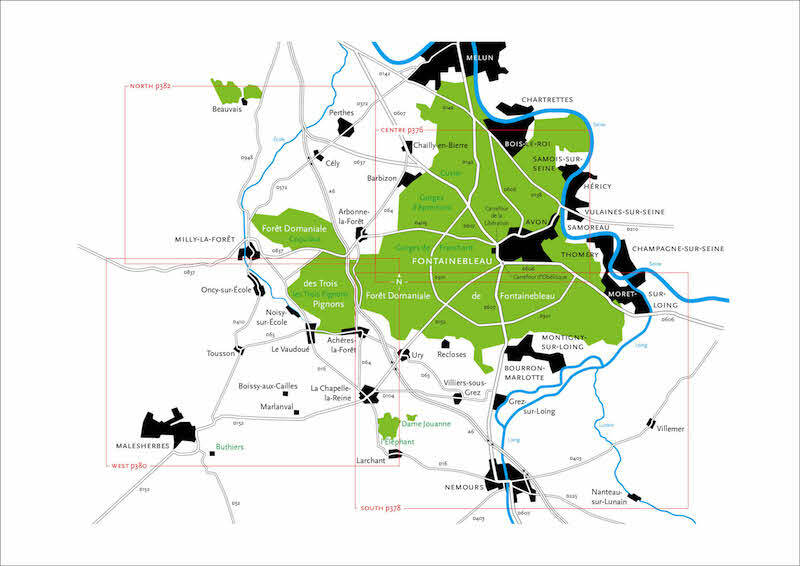 An interactive map shows and leads you to all areas, remote problems and car parks. The problems are linked with the bleau.info database which allows you to get an accurate description and detailed information of the problems. 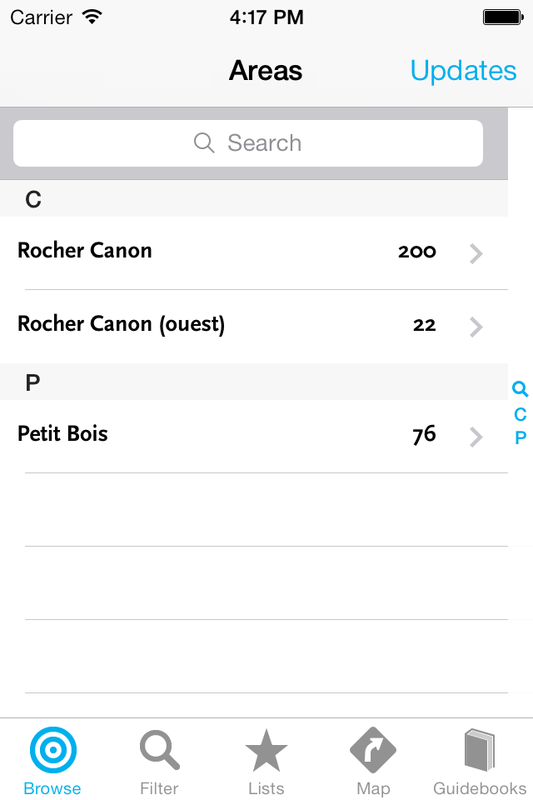 This app is free and contains information about the straight ups in Petit Bois and Rocher Canon. 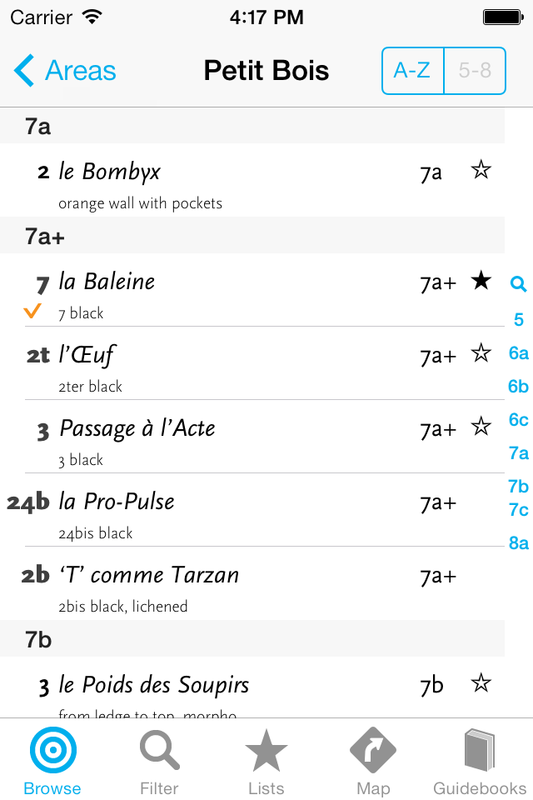 To purchase more areas, go to 'Updates' within the app. All problems from the "5 + 6 part 1" (2012 edition) guidebook: 4000 straight up problems in central and southern Fontainebleau (graded 5- up to 6c+). All problems from the "5 + 6 part 2" guidebook: 3000 straight up problems in western and northern Fontainebleau (graded 5- up to 6c+). 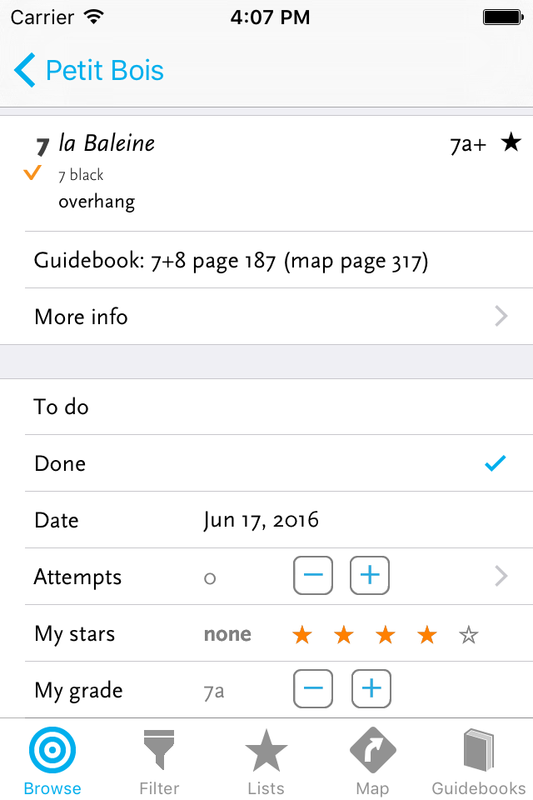 All problems from the "7 + 8" (2016 edition) guidebook: 3748 straight up problems in Fontainebleau (graded 7a and up). All problems from the "7 + 8" (2013 edition) guidebook: 2700 straight up problems in Fontainebleau (graded 7a and up).